Homage to The Magnificent Seven? 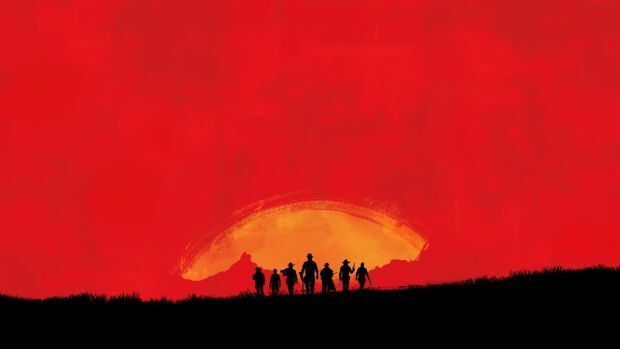 Rockstar Games released an image yesterday of their logo but with a red-tinged background. Naturally, this led to a lot of speculation as to whether it was teasing Red Dead 3, Red Dead Redemption 2 or some kind of Red Dead sequel. It’s a stretch based on such a simple image but there you go. However, with its most recent tease, Rockstar does seem to be hinting towards something Western-related. Its latest tweet showcases seven silhouettes against the setting sun. This image actually resembles The Magnificent Seven, recently remade in Hollywood and well-known for its Western characters. The question is: What does it all mean? If there is going to be a new Red Dead title, will it be some kind of multi-man take on the Western genre? Given the developer’s online bent over the past few years with Grand Theft Auto Online, it certainly seems possible. What are your thoughts on all this craziness? Let us know in the comments.